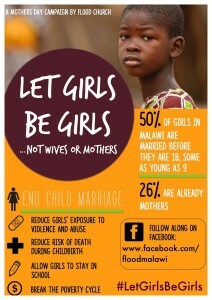 Let Girls Be Girls is a campaign Flood Church started to raise awareness about and fight against child marriage. We started this campaign in 2014 by creating the first ever citizens petition in Malawi, holding multiple events to raise support for the bill, and lobbying Parliamentarians to offer support for the bill. 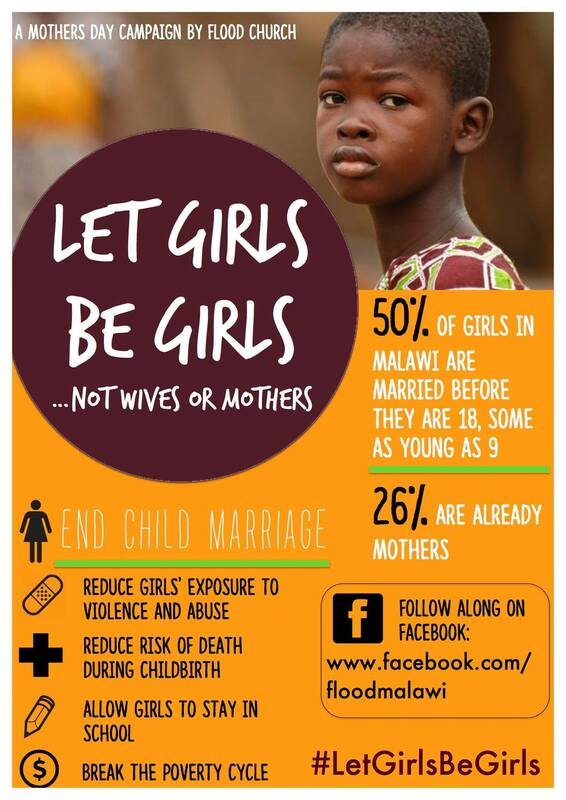 50% of girls in Malawi are married before they are 18, the vast majority of those are forced into it by their parents or suitors. One of the main goals of the Let Girls Be Girls campaign was to see the Marriage, Divorce and Family Relations Bill passed. This bill would make the legal age for marriage 18 years old, and had been sitting in Parliament for the past 7 years. Incredibly, the bill was finally passed in early 2015! Here is a bit more about the bill and its passing, written by one of the Flood staff. We were planning a march in support of the bill at the end of February 2015 when the bill was going to be voted on. 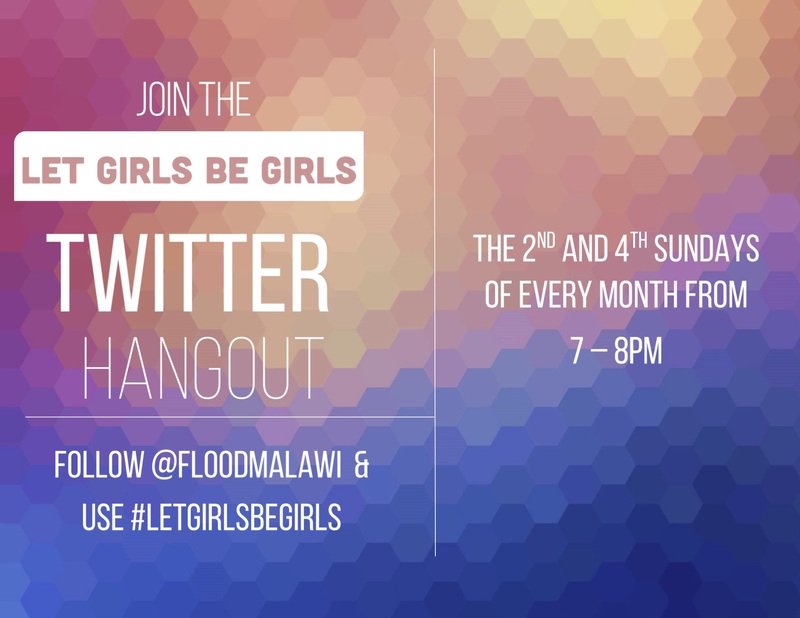 However, we got a call from the head of UN Women in Malawi, who we have been working closely with, and she said she heard a rumor that the bill was going to be read in Parliament. We called the Parliamentarians we have been working with and lobbying and it was confirmed that something with the bill would be happening Thursday. The Parliamentarian then invited us to come to Parliament because it would probably be announced when the vote would be, which would give us a better idea of when to schedule the march. He also wanted us to present our petition, since that had never happened in parliament before. The bill was presented, which was a huge success, since it had been sitting dormant for the last seven years. Even just hearing the bill get read was a win. Then there was some lively discussion, with every woman Parliamentarian standing and speaking about the bill (they make up only 14% of Parliament). Several men also took the chance to voice support. The head of the ministry of gender then made a motion to skip the 28 day waiting period for voting on the bill, citing tremendous support from Parliament and then mentioned Flood church and the number of signatures that we had collected in support of the bill and giving us a nod. It was a great moment. Finally, it came time to vote. Most everyone voted in favor of the bill, with just a couple Parliamentarians voting no. We had only been campaigning for the bill for the last year, so much credit needs to be given to those that have worked tirelessly for the last seven years trying to get it passed. However, the head of UN Women told us that as soon as Flood started its campaign (the first church to offer support of the bill) she felt the momentum shift and that change was coming. This was a huge compliment from her and we were so proud of our team and our church for getting behind the Let Girls Be Girls campaign to end child marriage! We are now shifting the focus of Let Girls Be Girls to education about the bill and offering support to those that have been effected by child marriage. We felt like we were being attentive to Jesus when we started this campaign, but we never dreamed that the impact we would have on this issue in just one year would be so big. God is so good. You can be a part of the conversation! 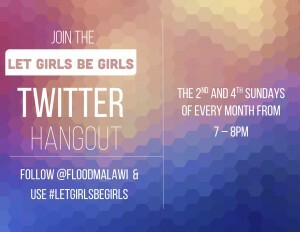 Join us on the second and fourth Sunday of every month on Twitter! Also, check out our #BeyondTheBill campaign on our facebook page, where we sat down with Members of Parliament who voted in favor of the bill to end child marriage. We ask them about why they voted they way they did and what issues girls in their constituencies face.